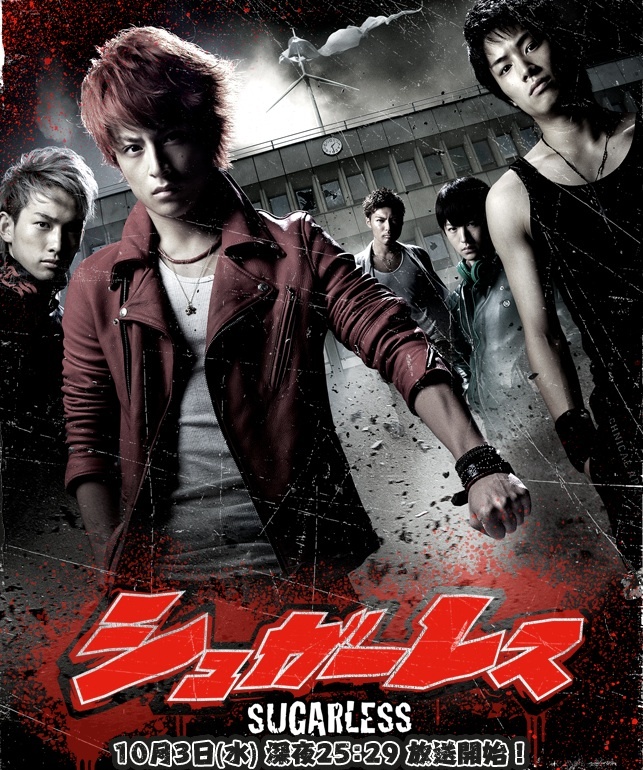 Follows the strife at Kushima High School, centered around Gaku Shiiba (Alan Shirahama) and Shiro (Reo Sano). Based on manga series "Sugarless" by Masami Hosokawa (first published in 2010 by Weekly Shōnen Champion). bloggers Jan 25 2013 12:50 am Everything is very open with a precise description of the issues. It was definitely informative. Your site is extremely helpful. Thank you for sharing! elizethoor Dec 08 2012 5:59 am can somebody tell me what the songs are they use in this jdrama? Tori Nov 19 2012 7:34 pm @Stuffs: PLOT: Gaku is new at his school & wants to be number one (fighter/leader). So he challenges everyone who could possibly stand in his way. The only problem is that even though he has a lot of self confidence, he isn't very strong. But little by little he starts to get stronger and also finds friends along the way that would fight for him. Stuffs Nov 17 2012 6:44 am So. . . for those of us who haven't read the manga can someone write an actual summary? thatguywholovesmanga Sep 28 2012 2:45 pm OMG OMG!!!! *_* they are making a drama out of this... ahh man i loved the manga and the cast dont look too bad either.